The ERIG (ExperimentalRaumfahrt-InteressenGemeinschaft e.V.) 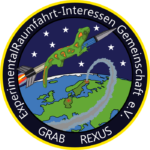 GRAB (Gecko Related Adhesive testBundles) experiment will analyze the adhesion forces of gecko-material in the Rexus 21/22 flight under space like conditions. These non sticky, switchable and reusable adhesive materials attach to nearly every surface due to Van-der-Waals forces and could be used in future for docking to space debris. As of now, these highly sub-scale structured materials are commonly made of plastics and aren’t yet qualified for space application. RaCoS (Rate Control System) is an experiment part of REXUS 22 which will be launched in 2017. The experiment shall reduce and control the angular rate of the REXUS sounding rocket in the roll axis by using a cold gas system. Therefore, a control algorithm shall use the measured angular rates to calculate opening times for valves regulating the gas jets. 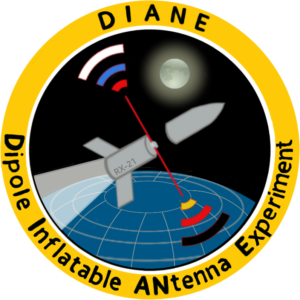 The team of DIANE (Dipole Inflatable ANtenna Experiment) is developing a 7 metres long dipole antenna made of textile, which is going to be inflated under space conditions on the REXUS 21 rocket. By recording the inflation process with cameras and performing a shortwave radio transmission, the designs usability will be verified. The aim is to create a powerful but lightweight antenna with a small pack size for future CubeSat missions. 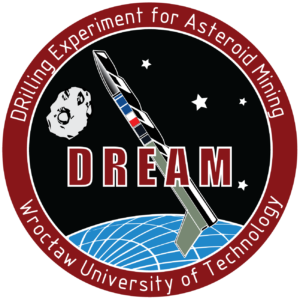 The aim of the DREAM Project (Drilling Experiment for Asteroid Mining) is to investigate the parameters of the drilling process in microgravity and vacuum environment – something that will be a challenge during the future asteroid mining missions. The SALACIA experiment will provide an opportunity to study the properties of Martian salts prior to the ExoMars 2018 launch. 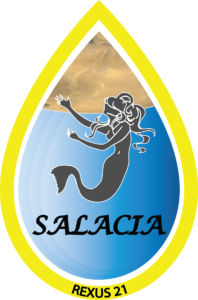 By flying a selection of relevant salts on a REXUS rocket, SALACIA will investigate their behaviour during the flight through different atmospheric layers (up to 90 km height). The main focus of the investigation will be on the absorption of water by the salts, and by camera recording the how they react during the flight. The aim of UB-SPACE (University of Bremen – Image Processing and Determination of relative Satellite Motion) is to provide images and data processed for camera-based autonomous navigation of space vehicles. U-PHOS is a project whose main goal is to characterize an innovative heat exchange device for space applications. The device that we are going to test in our experiment is a Pulsating Heat Pipe (PHP). A PHP is a passive heat transfer device which by means of a two-phase fluid, in a capillary tube, is capable to dissipate high values of thermal power.